Leading Service Provider of virgin pp strapping rolls, pp strapping rolls and pet strapping rolls from Bengaluru. We are the trusted and most sought after organization which offers Virgin PP Strapping Rolls to the clients. We have used the latest technology and material for the fabrication of these strapping rolls to the best of our ability. These are appreciated for their eco-friendly and recyclable property. 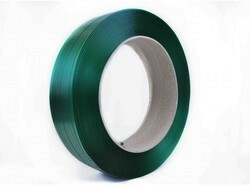 Our range of these strapping rolls is available in variety of colors and is used for packaging. 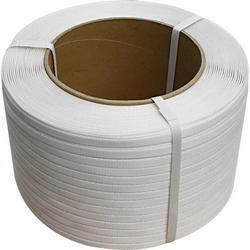 We offer these strapping rolls at affordable prices. We are the foremost organization in the domain of offering PP Strapping Rolls to the clients. 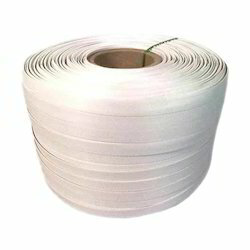 Available in the customized and the standard specifications, these strapping rolls are soft and have high tear strength. Uniquely formulated at our state of the art center, these strapping rolls are available in large quantities with us. Finally, we test these strapping rolls on certain well defined industry parameters before making these available in the market for sale. PP Strapping Rolls are manufactured using supreme quality polypropylene that is acquired from our trusted vendors. 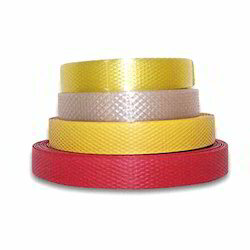 Made available in different lengths and color combinations, these strapping rolls are widely used for packaging purposes by construction, automobile, pharmaceutical, electronics and garment industries. We examine the quality of the collection before the final dispatch. S. V. Pack is the preferred name in the industry that manufactures, trades and exports a wide array of PET Strapping Rolls, offered at reasonable rates. These durable rolls are manufactured using premium quality raw materials procured from our dependable vendors. These strapping rolls are required by automobile, garment, construction, pharmaceutical and electronic industries.